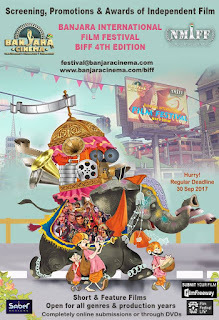 4th Banjara International Film Festival welcomes the submission of Student Short "Citipati" from Germany, directed by Andreas Feix. 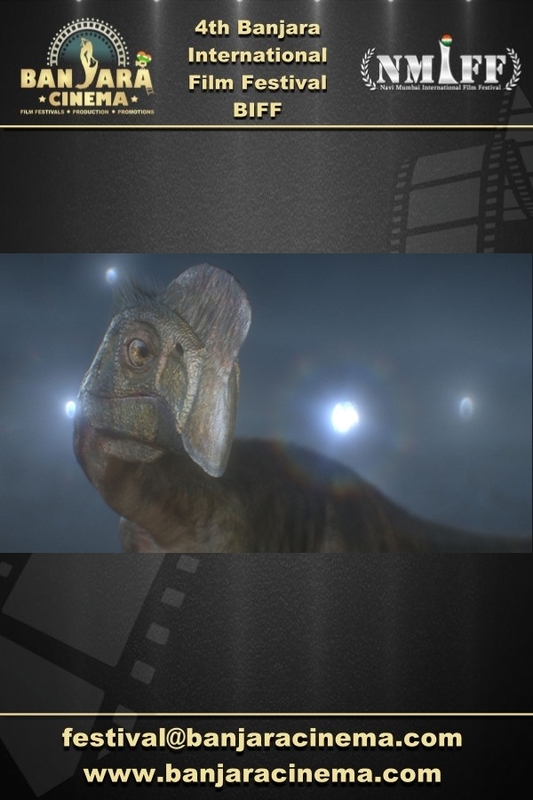 Synopsis: After being subjected to a cataclysmic meteorite impact, a small dinosaur attempts to battle the horrific aftermath both physically & psychologically. 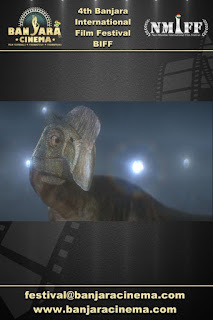 A tale about life, death & rebirth, told from a unique, prehistoric perspective. 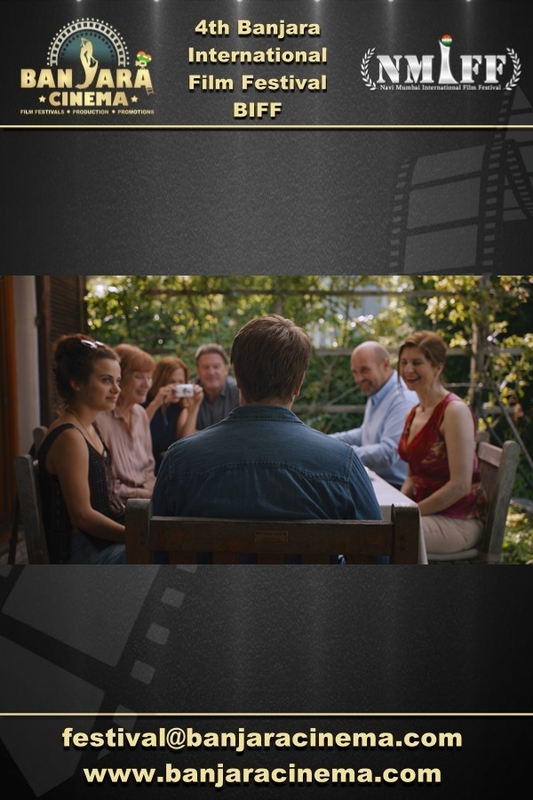 4th Banjara International Film Festival welcomes the submission of Student Short "Mum, I Dyed My Hair" from Switzerland, directed by Maximilian Preisig. 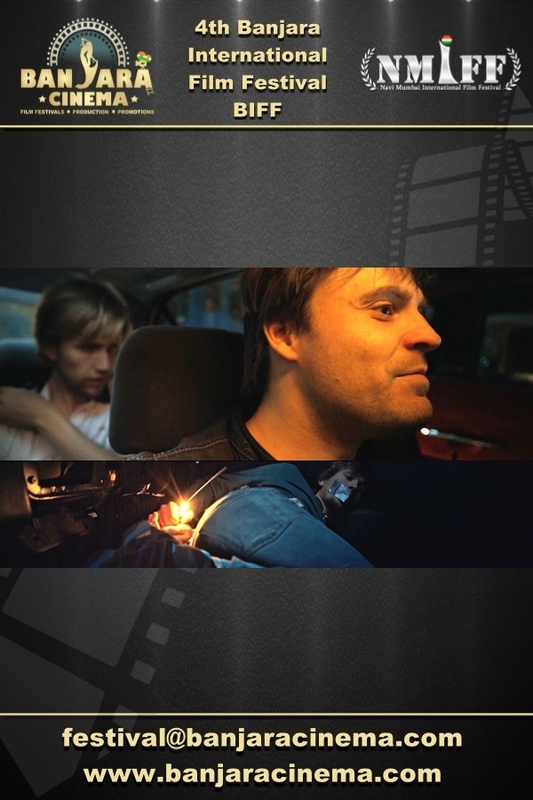 Synopsis: The director is searching for his own rebellion. He wants to have an adventure, break out, go wild. But... how can he be a rebel if his parents were punks, heavily involved in the scene back then, creating havoc with their bands? When he and his parents go on a journey to Italy, he is looking for answers in his own family. 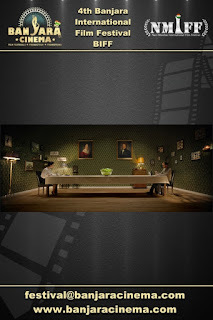 4th Banjara International Film Festival welcomes the submission of Professional Short "The Greater Good" from Austria, directed by Franziska Zaiser. 4th Banjara International Film Festival welcomes the submission of Feature Film "Copy" from India, directed by Dayasagar Wankhede & Hemantkumar Dhabade. Synopsis: The film highlights the misery, suffering and sorrow of the poor and downtrodden families. 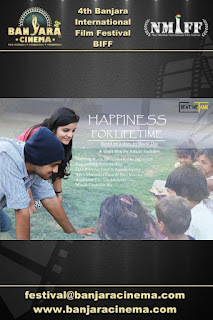 4th Banjara International Film Festival welcomes the submission of Professional Short "Happiness for Lifetime" from India, directed by Ankur Sachdev. 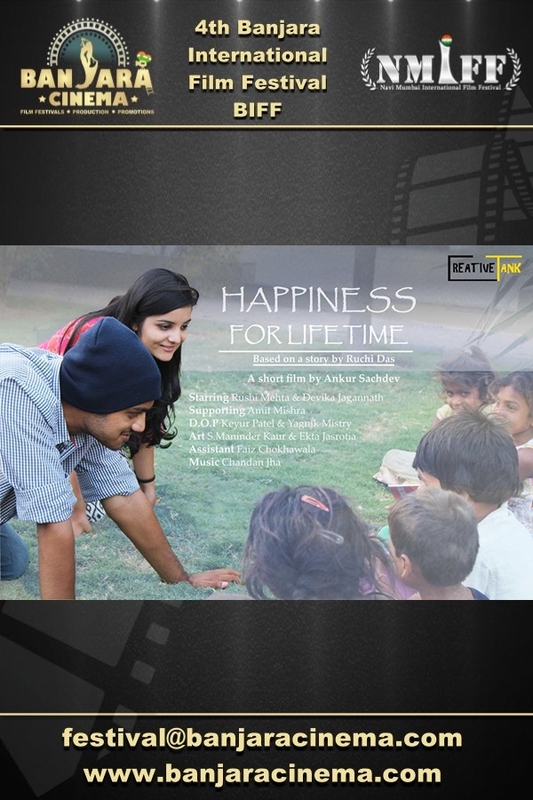 Synopsis: Happiness for Lifetime' is a story of a man who leave his job to become a social worker. 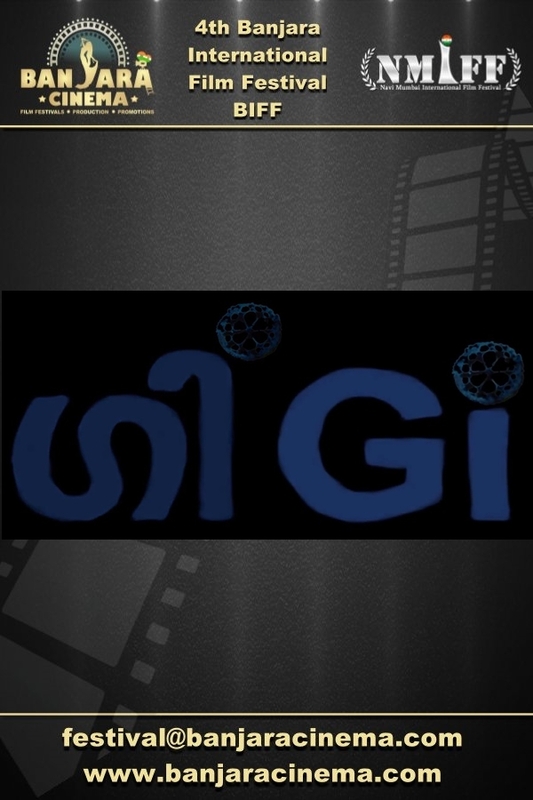 4th Banjara International Film Festival welcomes the submission of Student Short "Gi" from India, directed by Kunjila. 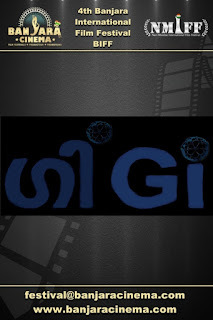 Synopsis: Gi lives with Appachan, her grandfather. Both are dealing with different realities. Appachan is losing some memories and delving into world Gi is unfamiliar with. She on the other hand is trying to come to terms with the world around her, her lover and her work which all seem hostile to her. 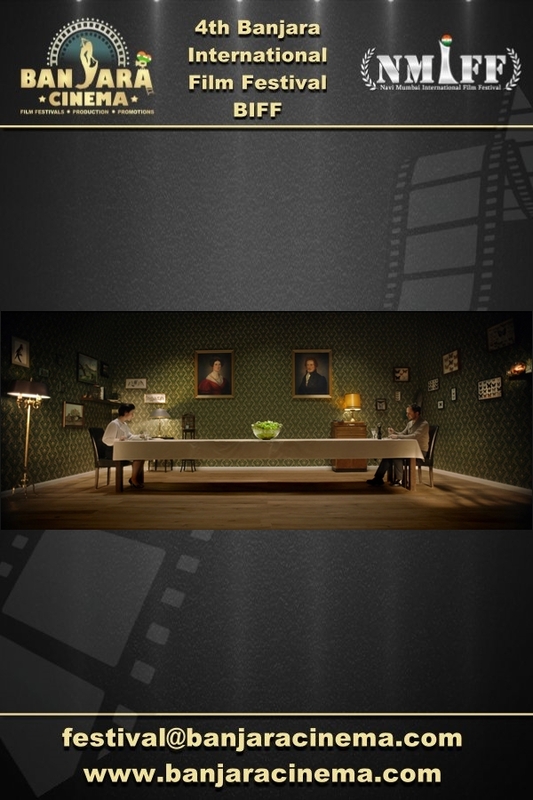 4th Banjara International Film Festival welcomes the submission of Professional Short "There Is A Salad Standing Between Us" from Germany, directed by Alice von Gwinner. 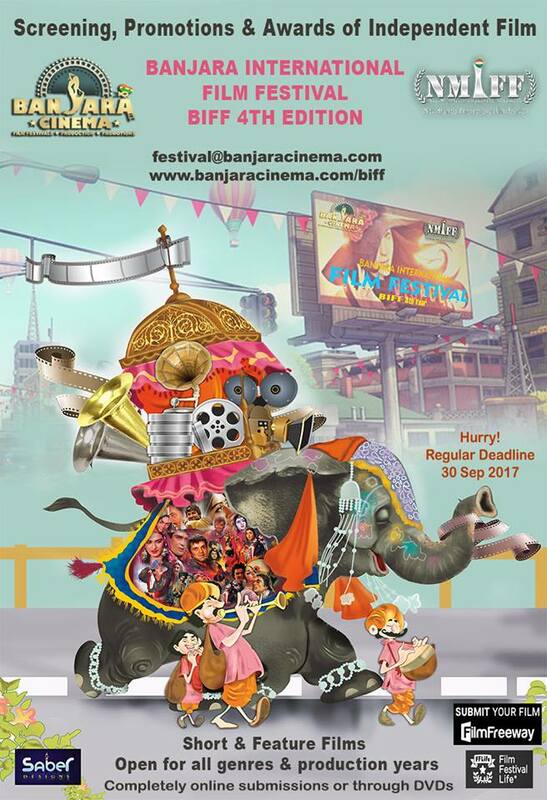 4th Banjara International Film Festival welcomes the submission of Student Short "Mishka" from Germany, directed by Eszter Jánka. Synopsis: The story of an encounter, the fulfillment and the fail of wishes and fantasies. 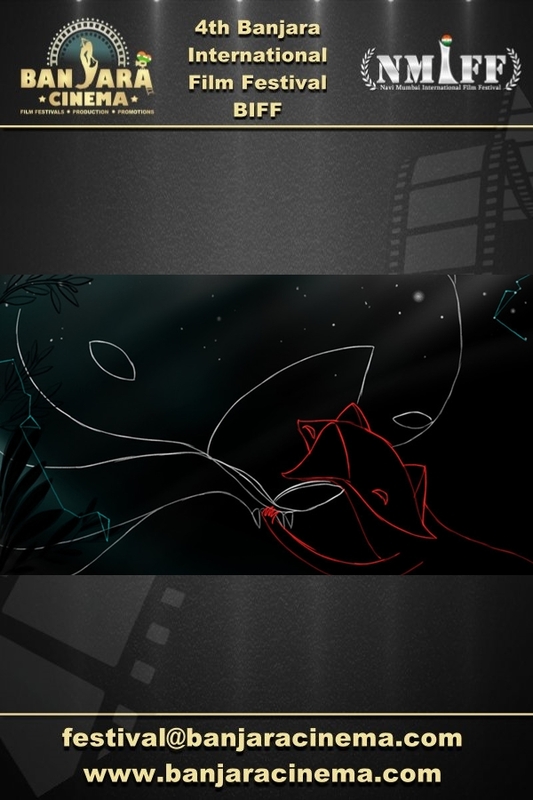 Mishka and Fox – a white dot, a red line and the infinite darkness of the universe. 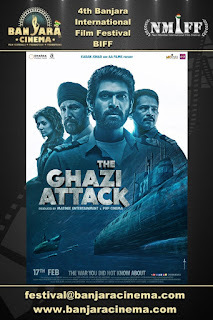 4th Banjara International Film Festival welcomes the submission of Feature Film "The Ghazi Attack" from India, directed by Sankalp Reddy. Synopsis: The Ghazi Attack is an epic underwater tale of the immense courage and undying patriotism of the men aboard the Indian submarine s 21 who destroyed the Pakistani submarine PNS Ghazi when it ventured into the Indian waters with an ambition of destroying INS Vikrant and conquering the Visakhapatnam port on the eastern coast of India in 1971. If you think you can perform and you have it in you to be the lead actress of a hindi feature film, then we have the opportunity for you. 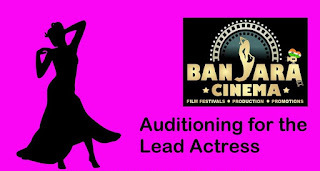 Banjara Cinema Pvt Ltd,that is getting into film production after 4 successful years of it's very reputed "Banjara International Film Festival-BIFF" is on a hunt for the female lead of their upcoming thriller. Having camera or theatre experience.It's a performance based role with a lot of expression variations, not the glamour showcase only. Should be available through Sep/Oct 2017 and ready to give ample days for rehearsals. All you have to do is, email your maximum 3 pictures and an audition video clip (preferably wearing Indian wears) to "contact@banjaracinema.com" performing below scene.Scene can be shot with your mobile too.You can alternatively whatsapp the pics n audition clip on +91-9892695080, No calls please. This online audition closes by 31st August 2017. We will individually inform the shortlisted candidates only. महक- मैं भी बहुत जिद्दी हूँ राहुल । साथ निभाने का वादा तो मैं भी नहीं तोड़ूँगी। मै भी चल रही हूं तुम्हारे साथ. (कहते हुए महक बची हुय़ी जहर की शीशी पी लेती है. mehek - rahul, tum mujhe akele choadkar nahi jaa sakte. yaad hai na? saari zindagi saath nibhane ka waada kiya tha tumne. tumhare liye maine apne abbu, apna ghar , sabko choad diya. mujhe aise choad kar nahi jaa sakte tum rahul. mehek - main bhi bohot ziddi hu rahul. saath nibhane ka waada toh main bhi nahi todungi. main bhi chal rahi hu tumhare saath. 4th Banjara International Film Festival welcomes the submission of Professional Short "The Psychiatrist" from India, directed by Madhur Bakhle. Synopsis: A story of school going boy who starts seeing a ghost and hear voices after a traumatic incident. 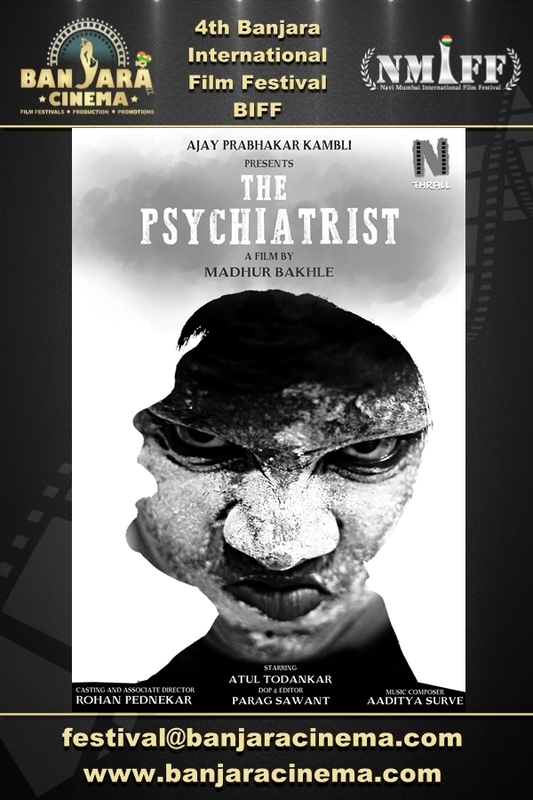 After a failed attempt of exorcism his parents calls a psychiatrist from a mental health NGO to treat him. The psychiatrist identifies the boy’s illness and treats him with the help of medications and psychotherapy. 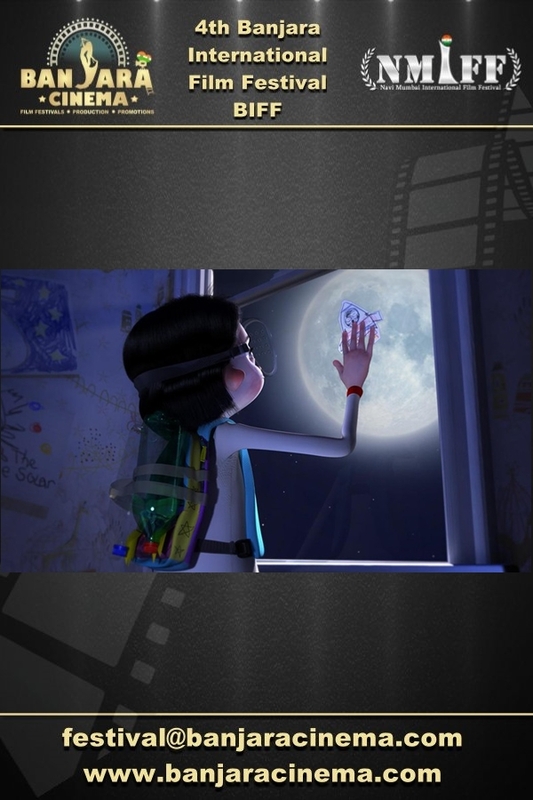 4th Banjara International Film Festival welcomes the submission of Student Short "The Moon Is Essentially Grey" from United States, directed by Hannah Roman. Synopsis: “The Moon Is Essentially Gray” is a 3-minute CG animated short about a young child, her makeshift rocket, and her fantastic flight to the moon. 4th Banjara International Film Festival welcomes the submission of Student Short "Acheron" from Germany, directed by Matthias Kreter. 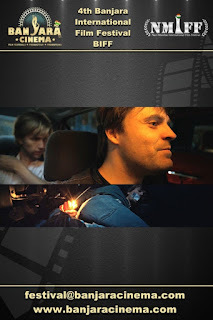 Synopsis: A 10-minute ride witness in 2 parallel long-takes, the changing rivalries between three gangsters and the growing panic of their hostage in the truck. The kidnappers are only minutes away from delivering the captive to their boss. They just have to cross a river. 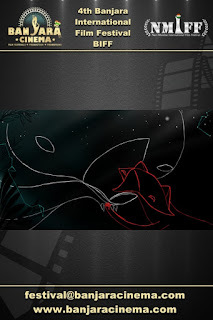 Banjara Cinema is NOW on INSTAGRAM!